No frills, just simple 2-channel control. 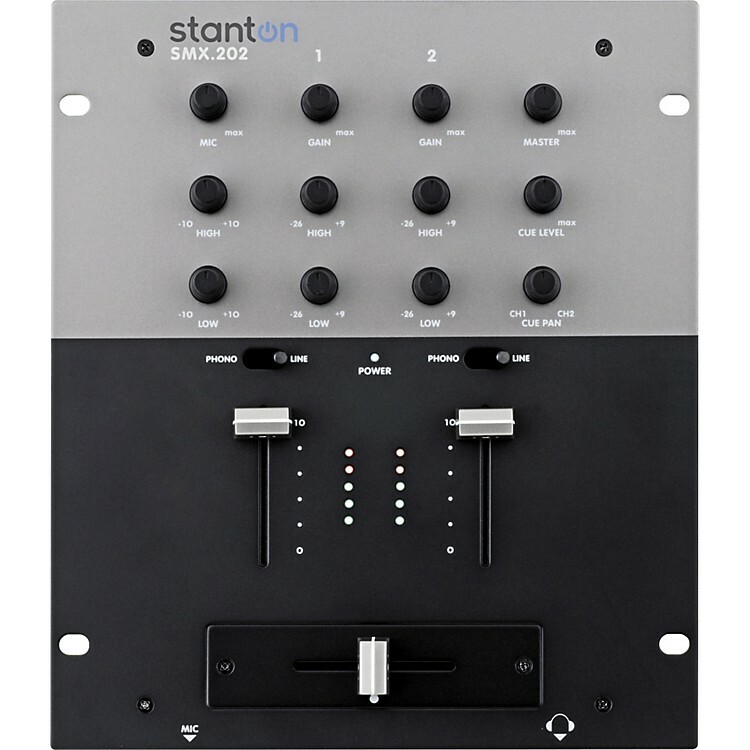 The Stanton SMX.202 DJ Mixer offers sturdy all-metal construction that means you can concentrate on your mix without worrying about your mixer. The SMX.202 mixer has 2 Line and 2 Phono inputs with 2-band EQ and gain control per channel. The Cue section has a Cue Level and Cue Pan control. Other features of the Stanton SMX.202 DJ Mixer include a mic input with 2-Band EQ, and user-replaceable faders. Order this easy-to-use, sturdy mixer today.